Build a topographic map by flooding a three dimensional landscape with water and drawing contour lines. 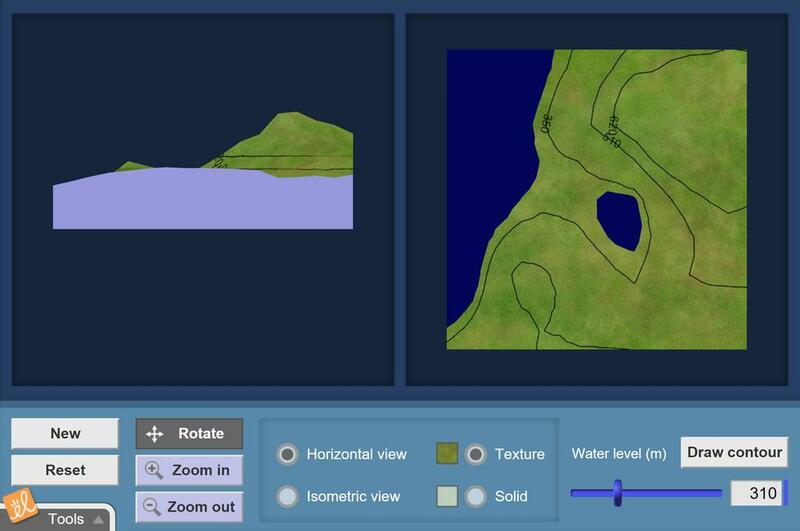 Draw a profile of a landscape based on the topographic map. A version of the student sheet for this gizmo with a few modifications for specific issues in my classroo... (more)m.
This is a released assessment item from the 8th grade Massachusetts state test.